Google has declared the next version of Android and cleared our doubts. There was lots of rumors about the next version which comes after Android version 8.0 Oreo.The Google has revealed the next version as Android 9.0 (Pie). 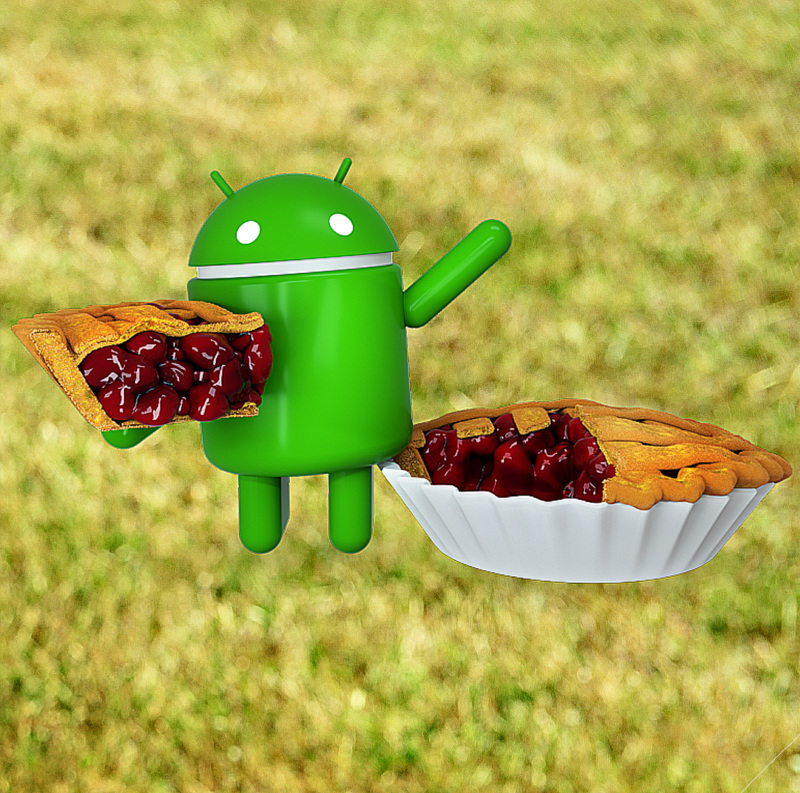 Latest release date of Android Pie is 6th Aug 2018. The battery performance will get improved because there is Adaptive Battery. With the help of this feature one can use the Battery for longer period of time. Adaptive Battery use to capture the the time usage, frequency of the particular application. Then android will decide which application should get more or less power. These are all done automatically by android. This feature is only possible if the user enables 'Use Adaptive Battery'. Adaptive Brightness which is similar to Auto Brightness. With the help of Adaptive Brightness the user does not need to manually increase or decrease the brightness depending upon the situation. Weather the user is outdoor or indoor. The software will understand the usage. As the time passes. The phone will perform more well. App Action predicts what application will the user use depending upon the situation. Accordingly two applications will get pop-up as a suggestion. For example, If the user puts his or her earphones. After putting the user clicks on Music Player and Video Player. These applications will get pop-up as a suggestion. Slices makes it easier. If the user wants to register a table in a Restaurant. Or if the user wants to place order history. Accordingly the Slices will help. The UI of Simplicity is very simple. Instead of buttons below the phones like Recent, Home and Back. There will be one single button. It is exactly like iPhone X. Where the user needs to swipe up to get read of recent applications. There will be an important role of gesture. The copy and paste becomes easier. There is option available like Reviews, Copy, Search, Share... If the user selects a particular word. Almost most of the users spends most of the time in their phone as unexpected. There are some features available where the user will limit the use of his phone after some settings. The user gets an Dashboard. Where the user gets information about which application is used for what period of time, how many times the user has unlocked his or her phone. The user can set limits, timer, for how much time to run the application in a day. Then the application will get disabled. Wind Down mode does not allows user to use more than particular period of time. The screen gets Black and White according to time sat. There are many more features available. Google Pixel phone has already got these features. Some of the phones it is running in Android Pie beta version. There is no offecial phone launched with Android version 9.0 ( Pie ). So it will take time for update depending upon the time and date user have purchased or what phone company you have purchased. Comment down if user have any questions or any suggestions. please Share with your loved ones. Also read my other posts.